Picnic tables are social gathering places, functional pieces of outdoor furniture, and necessary for your family’s casual outdoor dining experience. If you’re looking to add one of the best wood picnic tables to your backyard, we can help. 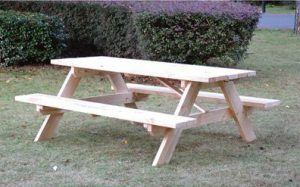 There is a large range of wood picnic tables available. 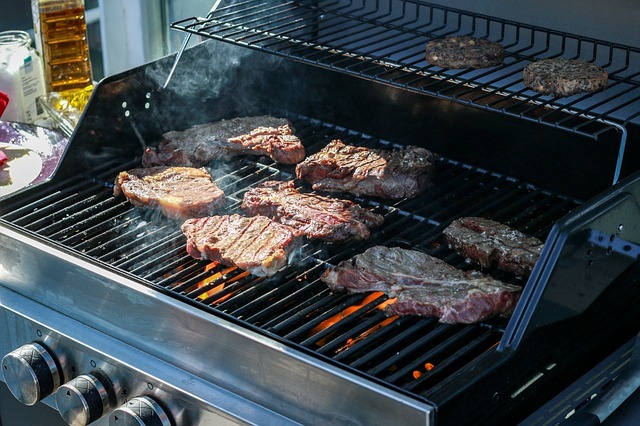 We’ll share with you what’s important to consider when you buy, and help you make sure you’re picking the best wooden picnic table for you and your needs. By the time we’re through, we’re sure you’ll have found a picnic table you’ll just love! You’re here because you’re looking specifically for wood picnic tables. Do you have a preference of the type of wood? The most popular woods for picnic tables in this “best of” list are cedar (white and/or red) and pinewood. Both cedar and pinewood are absolutely excellent types of wood if you’re looking for a seriously solid picnic table. Both will require staining and/or weather-proofing/sealing if you hope to have the wood remain looking beautiful over time. While a wood picnic table looks stunning and classic, no matter the wood it will require some work (annually/bi-annually) to stop it from looking rotten and old prematurely. 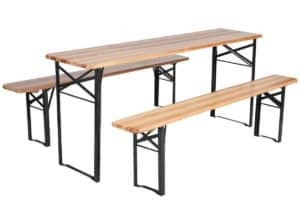 If you aren’t really interested in the maintenance end of things but simply love the wood look, there are 3 picnic tables near the end of our list that LOOK like wood, but are actually made of various types of plastic. 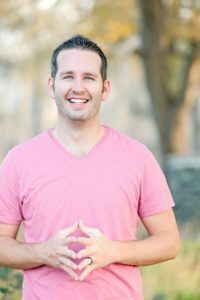 The advantages here are that no preventative or ongoing maintenance is required and you won’t have to ever worry about splinters or cracks. Disadvantages are that you are passing up on the feels, smells, and beauty of natural wood. You’ll want to consider how many people you’ll be inviting to sit with you at your picnic table. Most of the 6′ tables (72″) hold 6 adults easily – note however that a few of the “top 14” are shorter than 6′. And, some of the table tops are wider or narrower than others – read the specs carefully as pics can be deceiving. Now that you know what to look for, let’s take a look at the best options out there. If you’re looking for a beautiful, solid wood “log” style traditional picnic table for your backyard, we think you’ll love this one! Material: 100% White Cedar. Cedarlooks picnic tables are built to last, from all-natural eastern white cedar (Thuja occidentalis), which is renowned both for its beauty and for its durability. There are no chemicals or preservatives used in the making of their furniture, and none are needed as white cedar is naturally resistant to insects and to decay, and is splinter free. Cedar is also lightweight and smells great – both huge plusses! 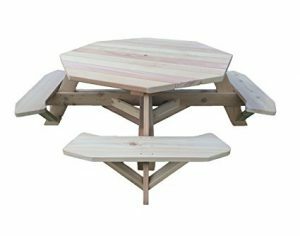 Another thing we love about this picnic table is that white cedar does not need to be treated – if you leave it as is, your picnic table will simply “mature” into a beautiful silver-gray color. You can stain it the color of your choice, however – either way, it’ll be a stunning piece of backyard furniture. Size: 68″ L x 62″ W x 29″ H (62″ W includes seats – table top is 31″ W). It will nicely seat 6 adults, but more may be making it a bit too tight. 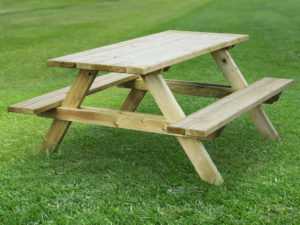 Features: This is a “log style” picnic table, meaning the legs are not smooth-cut, but more natural looking, following the knots and grain of the wood. The benches and table top are smooth-cut wood, but the supporting beams say “this is a solid, rustic wood picnic table”. The design has the benches able to flip up so that mowing your lawn under the table is easier. Love that! Capacity: This picnic table is just under 6′ long – it’d be very comfortable sitting 4 adults, but 6 should be doable too. 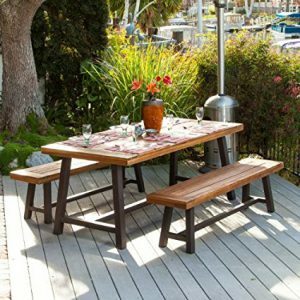 Many people are looking for just a basic, traditional “one piece” wood picnic table for their backyard or patio. This is the one for you. We think it’s a really great deal for great looking and sturdy picnic table. Material: Pinewood, unfinished. You’ll want to stain or treat this picnic table, and as it comes pre-assembled, that’s the time when you’ll want to pick out your preferred stain color and go to work. (It’s easier to stain the wood prior to assembling… and you’ll do a neater job.) Pine is naturally insect and weather-resistant, so it’s a great choice for a table that will likely be seeing a great variety of weathering. Size: 72″ L x 60″ W (includes benches) x 27 1/2″ H. This table will comfortably sit 6 adults. 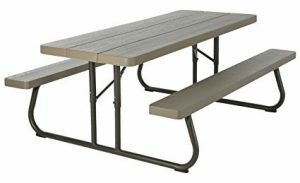 Assembly: You do need to assemble this picnic table – hardware is included. Several of the reviewers on various websites where this is sold mentioned that the product came with incorrect or “weak” screws/bolts and that they simply replaced the hardware themselves in order to complete the assembly. The assembly was not difficult, though, from what they write. The company offers a 1 year limited warranty, so you can buy with confidence! We think this picnic table (once stained to bring out the lovely grain, and assembled) will be both beautiful and functional in your backyard! And for the price, you almost can’t go wrong! 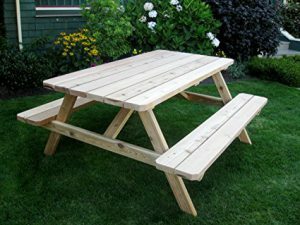 This picnic table is another excellent option for those of you who want a classic style picnic table made from a beautiful and solid wood! Size: 72″ L x 34 1/2″ W (60″ from bench to bench). It will comfortably seat 4-6 adults. 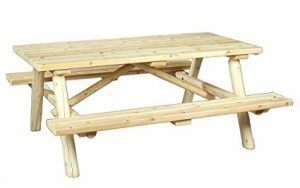 Assembly: According to the company website, this picnic table can be assembled in about two hours, and you don’t need to be a handyman to do so. They do supply all of the hardware and pre-cut, pre-sanded wood. You will need to supply the stain if you so desire (cedar does not require it), and your job will be much easier if you have the following tools: a drill, 1/8-inch drill bit, a 7/16-inch wrench, a level, a screwdriver, pliers, a tape measure, a wood clamp and work gloves. If you’re looking for an octagonal wood picnic table, this one is a fantastic choice! Although the price is not cheap, we believe it’s worth the investment due to it’s beauty and fine craftsmanship. It’s no slap-together, flimsy piece that’ll snap or fall apart on you, that’s for sure! This table has a pre-cut umbrella hole and 4 seats that each will comfortably sit 2 adults. We love the shape of the table benches – the openings allow for easy seating, with no need to climb over the bench to get in and out. 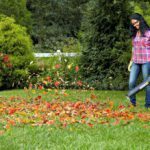 With only 5 points in total touching the ground, you’ll find it fairly easy to mow around too, if it’s set up on your lawn. Dan’s Manufacturing has been in business for over 34 years now, and ships to 47 states. According to their website, this is their best selling wood picnic table. It’s hand-made in their warehouse, and like all their products, is stunning! Material: Western Red Cedar – which is naturally insect and rot resistant. The lumber is milled, sanded, and the edges are nicely rounded. The planks (milled completely from 2x6s) have beautiful variations in the color tones, which adds to the look, we think! If you love the social aspect of a round picnic table but are a bit hesitant to spend the bigger bucks on a serious piece of craftsmanship like the one above, you’ll likely be very happy with this option! Less than 1/4 of the price of the option above, but still with great reviews. This wood picnic table is a slightly different design from the first, with its round table top as opposed to the octagonal shape. It has 3 benches, seating a total of 6 (max 500lbs). Note that 6 adults together are usually more than 500lbs, so we’re assuming a few of those 6 are children. This picnic table is one piece once it’s put together. You can’t remove or flip up the benches. There is a pre-drilled umbrella hole – if you look closely at the picture here, you’ll see that you don’t need to purchase an umbrella base if you’d like shade – you can rest your umbrella in the triangular “hole” created by the assembled frame. Assembly: This picnic table comes partially assembled (the seat tops and table top are already put together). You’ll need to assemble the rest using the pre-drilled holes and included hardware. According to reviewers, it’s fairly easy to put together, and the predrilled holes line up nicely! This is a charming and rustic looking wooden picnic table that will be a gorgeous addition to your backyard, patio, or gazebo! It’s no slapped together piece… it’s a made-to-order solid picnic table, proudly crafted by the Western Pennsylvania Amish… you know it’ll be top quality and last for years and years to come! You are able to custom order your table if you so desire – just make contact with the seller and they’ll happily help you out! Unfortunately they have decided not to offer umbrella holes in their white cedar table tops any longer – apparently they were consistently frustrated with how the holes were finishing. Material: White Cedar, which is naturally resistant to decay, rot, insects, and weather damage! It is beautiful naturally unfinished, but you can stain it if you prefer that look. Left unfinished, it will turn to a silvery white/grey in time. Assembly: This log picnic table comes partially assembled – it’d be good to count on about an hour to put the rest together. Hardware is included. Note: Solid cedar wood often will “check” after being used in furniture building. “Checking” is a natural process that occurs when the logs slowly dry out and develop long cracks or splits in the sides. It does NOT affect the structure integrity of the logs. Here’s something a little different… a picnic table set that comes finished already, a beautiful rustic brown stain with a clear seal coat. The table tops are wood, the legs steel. If you’re eyeing this one for your backyard, head’s up that this is a wooden picnic table probably best kept under a roof somewhere as heavy rain and sun will make the wood look weathered rather quickly. If your backyard space doesn’t have a roof option, you can try either put a heavy duty weather sealer on it or purchase a picnic table cover. Material: This picnic table has a wooden top on the table and benches. The wood is acacia hardwood, stained a medium brown. While the wood sort of looks rustic, it is finished completely, not rough or “splintery” at all. The legs are not made of wood but of steel, painted a dark espresso color. (Apparently the steel has held up fantastically against rust over time.) There are caps on the bottom of the legs to protect your patio floor against scratching, which is a nice extra. This in a detached picnic table set that is simple, with clean lines. It’s all you need in a picnic table for 4 people – it’s perfect for meals, games, and visiting around it. While not overly fancy, with a beautiful stain it could really be a lovely piece of outdoor furniture! Size: The table is 44″L x 27″W x 30″H and the benches are 44″L x 11″W x 17″H – the overall width is 60″. Material: This picnic table with the detached benches is made of solid pine wood. This is another one of the best wood picnic tables that has only the table and bench tops that are wood. 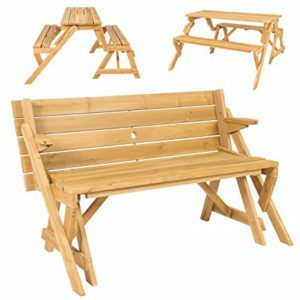 It’s an excellent option for those who want a nice looking wood picnic table set – table and benches – but don’t need a permanent option. They want to be able to fold it up, store it away, or move it where they want it with ease. The table is 70” L x 18” W x 30″ H, and the benches are 70”L x 9″ W x 18″ H. You can fit 6 comfortably at the table, but the weight capacity for each bench is 500lbs (so perhaps not all 6 can be adults!). Material: The wooden table top and bench tops are made of high class Chinese fir wood, which is both solid and smooth. The wood is nicely sealed, so you shouldn’t need to coat it before assembling. The frames are made of heavy loaded iron (painted black), making it a heavy and sturdy table when it’s in use! It’s not flimsy and won’t tip over easily (despite the thin look of the legs). 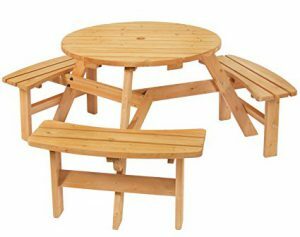 If you have limited space in your backyard, you might find these interchangeable wood picnic tables the best thing ever! 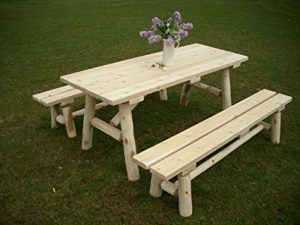 In one easy motion you can flip this light-weight wooden piece from a garden bench into a small picnic table and then back again! How great is that? Size: When set up as a table, it’s 57”L x 54”W x 30.25”H – it can seat 4 at the most (but more likely 3, as one bench is shorter than the other by a few inches). When converted to a bench, it’s 54”L x 27”W x 33”H – great for 2 individuals to share. The maximum weight capacity is 380lbs for either set-up – so when they say “4”, we’re guessing they don’t mean 4 adults… although many reviewers do say 4 is just fine! Material: This product is made of an unspecified unfinished wood – you’ll want to seal it (and stain it if you like that look) if you want to leave it in a place unprotected from the elements and keep it looking great. 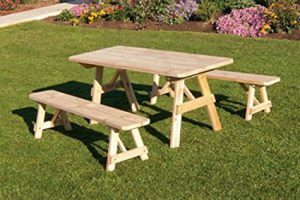 Assembly: This interchangeable wood picnic table / garden bench comes partially assembled – the planks are attached to the wood beams, but the the legs, seat, backrest and supports do require assembly together. Instructions and hardware are included, and apparently it’s fairly simple to accomplish! 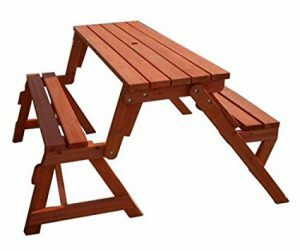 This picnic table/garden bench has a pre-cut 1.5″ diameter umbrella hole (standard size) that can be used when the piece is set up as a picnic table – you won’t even notice it on the back of the “garden bench” though! Basic summary: You’ll love this picnic table/garden bench, especially if you’re short on space and want both options! This is another option for an interchangeable wood picnic table and garden bench. Like the option above, it changes in one smooth, easy motion from bench to table and back again. These interchangeable tables/benches are perfect for small backyards or patios – perfect for when you don’t necessarily need a picnic table all the time, but like the idea of eating outdoors occasionally. Size: 57″ L x 54″ W x 30″ H inches. It can handle 4 adults, with a weight capacity of 1000lbs! Material: This picnic table / garden bench is made from kiln-dried Asian fir wood with natural stain. The photo here shows it with an additional red stain – it comes to you a light brown and you can select what color stain to put on it… or just use a clear sealant to maintain the unfinished look. This wood picnic table/bench combo by Merry Gardens is a decent option, but between the two choices we’ve shown, we do recommend the former, simply due the customer ratings and a few too many comments on unfortunate quality issues they had. 80% of reviewers gave it a 4 or 5 star rating – which still makes us consider it a good product overall for the price point – especially as it comes with a 1 Year Limited Manufacturer Warranty. This beautiful mocha colored wood-look picnic table would be a beautiful and practical addition to you backyard space! Size: 72” L x 69.5” W x 30″ H, and it officially seats 6 adults. Material: This wood-look picnic table is not made of wood, but of marine-grade recycled plastic. It’s durable, extremely sturdy, fade-resistant, and unyielding to rot, deterioration, and splinters. This unique material repels dirt and grime and doesn’t absorb moisture, so your clean-up will be a breeze – just hose it off or wipe it down! Assembly: Some assembly is required – but customers on various websites where we found this product say it’s very easy to complete, and that the directions are clear. Hardware is included. A little note on delivery: this being a larger item, expect it to ship LTL as the boxed components are delivered on a pallet. Here’s something great… Highwood is so confident in their product that they offer a 12-year residential / 1-year commercial product warranty! We think this is a great option for those who love the wood look for picnic tables, but don’t love the maintenance and the deterioration over time. It’s a stunning table! While it’s reviewed and sold on various websites, Amazon does have the best price. This one is worth checking out. 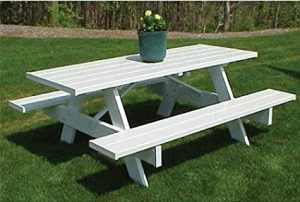 Here’s another great option for those of you who want a traditional looking picnic table, this time in a wood-look (with white paint) that is actually PVC. It’s the classic one-piece design, and would be a lovely piece of yard furniture! Size: This table is 72″ (6′) long, a standard length for a standard table that comfortably sits 6 adults. It’s 60″ across (5′) from bench to bench. Material: The table is made from PVC with solid wood inserts. PVC is easy to clean – just hose it or wipe it off if there are spills! PVC also is very weather-resistant. From snow to salty-air, from rain to heavy sun, it’ll handle it all and still look great years later, according to customers! If you’re looking specifically for a picnic table with an umbrella hole, this one does not have one, nor can you add one due to the material. Assembly: This picnic table does require some assembly. Hardware is included, as are pictorial instructions. Apparently you’ll need approx. 2-3 hours to assemble it. If you’re wanting a durable, heavy, easy-to-clean, traditional “wood-look” (painted) picnic table, this one is a great option! Lifetime picnic tables are simply excellent. This company is known products with exceptional quality, that do “last a lifetime”. This picnic table is one worth considering if you’re looking for a great wood-look picnic table. These picnic tables are designed with “easy access” to the benches – you don’t have to climb over anything but the frame bar on the ground to sit down. (Compare this to the benches in the above model, where you do have to climb over the frame.) This is nicer for seniors, and for people wearing dress clothes (ladies in skirts)… plus, it allows you to squish a few more kids onto the bench! This picnic table also has the added bonus that you can fold it for storage when you aren’t using it, or in the winter season. Plus, it DOES have an umbrella hole – with a cap to cover it up if you aren’t using it! Size: This picnic table is 72″ long (6′). 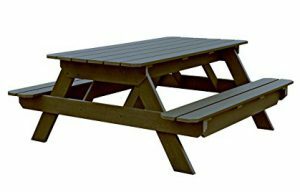 Folds flat for easy storage and transportation; folded dimensions- 72″ l x 57″ w x 4″ H.
Material: The picnic table top and benches are made of a high quality, high density Polyethylene, UV-protected and stain resistant. 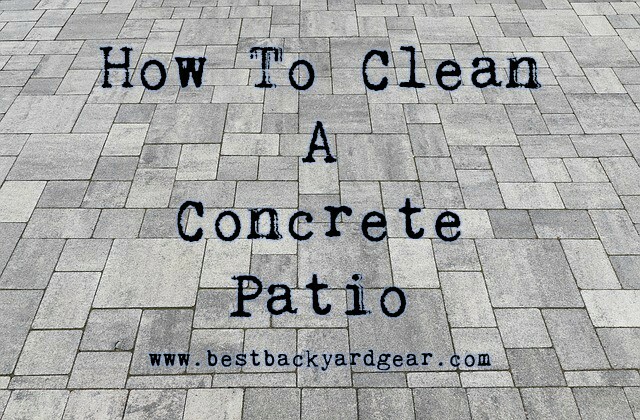 They are extremely easy to clean – just wipe or hose off! The color is brown with a wood-grain texture, and the folding frame is bronze 1-5/8″ round. Lifetime Products offers a 2 year limited warranty on this product, so buy with peace of mind! There’s nothing that says “let’s go sit outside for our meal” better than a picnic table. 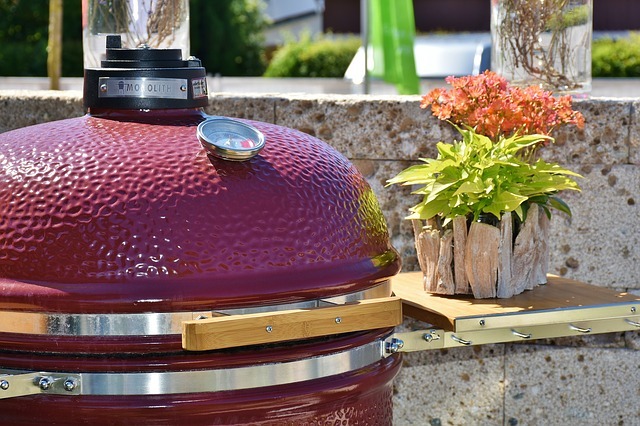 Having one in your own backyard or on your patio makes eating outside a simple and enjoyable thing to do. Kid sized picnic tables are fun to have as well, but a classic wood picnic table never goes out of style, and if you care for it properly and regularly (if required based on your selection), you should be able to enjoy it for decades. 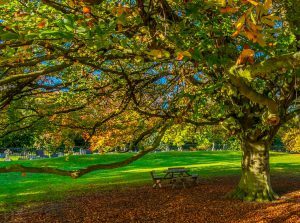 It’s our hope that this overview of the best wood picnic tables has helped you make a selection that you’ll be happy with and proud to show off to your family and friends. Time for a dinner party or outdoor picnic lunch, right? As always, if you have any questions, comments, or feedback, feel free to comment below! We love hearing from you! Thanks for the comprehensive reviews, I really learned a lot. I’ve been looking at tables for our backyard for some time and all of these look great. I like the Western Red Cedar octagonal table because of the larger size. We get quite a crew round to our house sometimes so we need plenty spaces. The open spaces appeals too because my Mum is getting on a bit now so she wouldn’t have to climb over the seat. This may sound a bit silly but is there a recommended weight limit for anyone sitting on it? I’ve emailed the company directly to find out the weight restriction for you… I’ll update this as soon as I find out! From Dan’s Outdoor Furniture: We have built these tables for 31 years and have not had any issues with weight on the seats. I have seen 300# people use the tables and some of our customers would fit in this category. The most positive comment we hear is the ease of sitting down at this style of table and that is a concern with the elderly and those with some kind of disability. Thanks so much for commenting, Dan! Your “Western Red Cedar 61″ Octagon Top Picnic Table w/Easy Seating” that we reviewed here as our #1 Round or Octagonal wooden picnic table is definitely impressive! I love the seating style myself… any my wife likes that she can sit down easily in a skirt too, haha. Your review on garden picnic tables i really enjoyed as it really proved nostalgic for me. 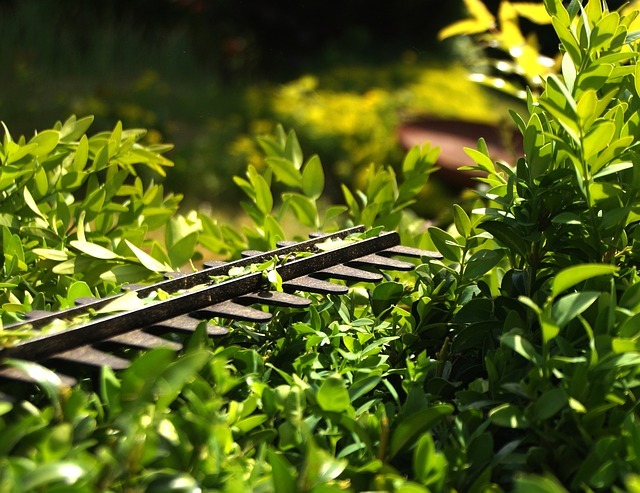 They are becoming very popular for domestic gardens also being used in parks and outside public houses and cafes. They are simple in their design and very sturdy as they are made of solid wood and not synthetic materials. I see that now the design can be adapted for individual preference which will be a great money maker for the manufacturer.I will consider the possibility of installing one in my garden soon. Thanks for your comment, Andrew! Yes, picnic tables are here to stay… I think because they are so practical and handy! You’re right that you can often customize your table to your own preferences if you contact the manufacturer directly. Do you have a favorite here? Or even a favorite style? What a great review! You chose some really great models to compare. I grew up with a wooden picnic table and I still prefer them to plastic types. I guess you purchase them unfinished and then stain or paint as desired? Also, how fantastic they are available from Amazon! …and even better that we have Prime for free delivery! Thank you for the stellar review. I can tell you put a lot of time into it. Glad you found this review helpful, Jackie! I agree with you that there’s something special about a wooden picnic table – I think that it just fits into nature better than plastic (for an obvious reason, right?). You’re right that you purchase them unfinished and then stain/seal as desired. There are so many beautiful options too!